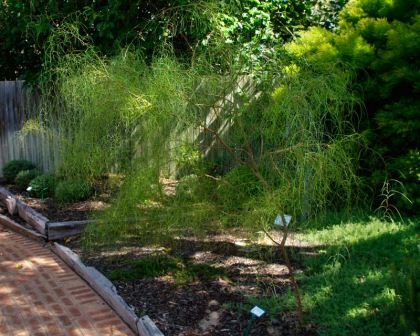 Acacia merinthophora is a small to medium sized shrub has a weeping habit and grows to 3m in height and width. 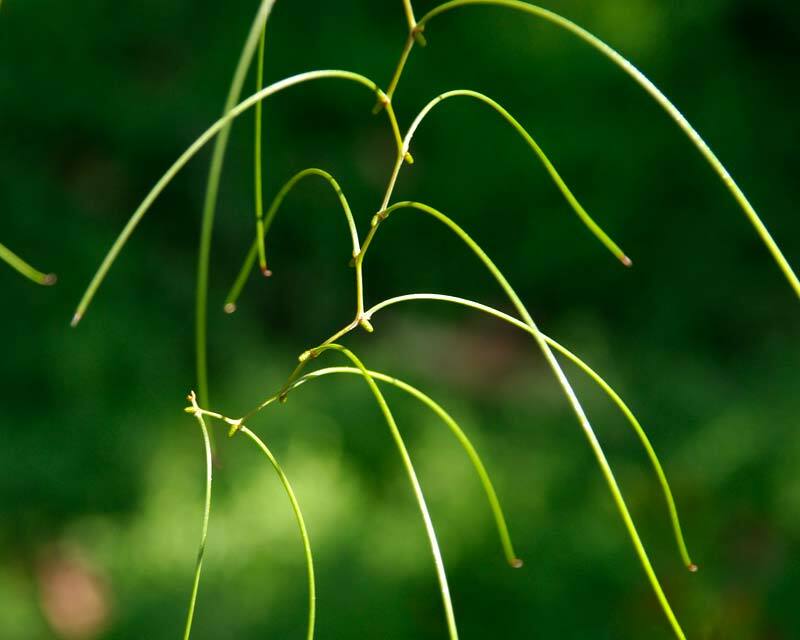 The branches have an unusual zig zag shape, this is caused by the branches changes direction at the point where the phyllode attaches the stem. Yellow rod shaped flower clusters are produced in the axis of the phyllode and stem during the winter and early spring. These make an interesting addition to a garden shubbery. Soil: Require well drained sandy soil and a sunny position. Maintenance: Although a native to WA, it has been successfully grow in Australia's eastern states. Once established they are drought and frost tolerant.